Students, families and alumni gathered last Saturday, October 25th for Manhattanville’s annual Fall Fest’Ville, a day full of fun activities and performances. The name dates back to Rob’s Manhattanville days. He used to work with adjunct professor Clista Townsend, who started a Shakespeare summer camp program in Ridgefield, CT. Because most of the rehearsals with children were done barefoot, Rob and his co-worker and fellow Manhattanville alumnus, Chris Smalley ’07, joked about calling themselves the “Barefoot Players.” The name always stayed with Rob, and when he decided to found his own company, the term seemed to fit right in place. Barefoot Shakespeare has worked alongside Les Salonnieres, an events group, to stage several plays, such as The Unauthorized Biography of Billy Shakespeare (an original musical), Twelfth Night, A Midsummer’s Night Dream, The Two Gentlemen of Verona, in addition to The Comedy of Errors. The company also leads workshops in local schools where they analyze Shakespeare’s works through a hands-on approach. 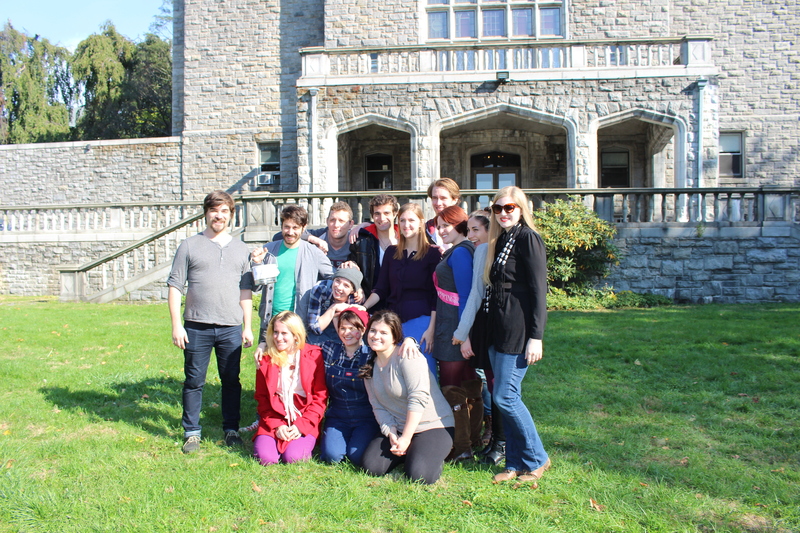 Students, family members, and volunteers from the Dance and Theater Department enjoyed The Comedy of Errors, a condensed version of the Bard’s work, performed outdoors by nine talented actors on a perfect fall afternoon. To celebrate Professor Bowling’s thirty years at Manhattanville, the Office of Alumni Relations and Annual Giving hosted a lunch at Trattoria 632, inviting alumni who attended Manhattanville during Bowling’s tenure at the College. Professor Lawson Bowling has been an outstanding faculty member, teaching History courses since 1984. Bowling currently serves as Manhattanville’s Faculty Athletics Representative for the National Collegiate Athletic Association and as Sport Studies Director. Bowling attended Emory University in Atlanta, where he earned a four-year National Merit Scholarship and graduated as a double major in History and English. He continued his education in Philadelphia, earning a Master of Science degree in Education at the University of Pennsylvania. Later, he moved to Manhattan and earned a Ph.D. in History from Columbia University before coming to Manhattanville. In honor of Professor Bowling’s dedication to our community, the College will be naming the newly built intramural basketball court after him. This is the first part of the celebration that will be continued in the Spring at the annual History Barbeque when the court will be unveiled. If you would like to contribute, please visit www.mville.edu/donatenow and designate your gift to the Lawson Bowling Naming Initiative. 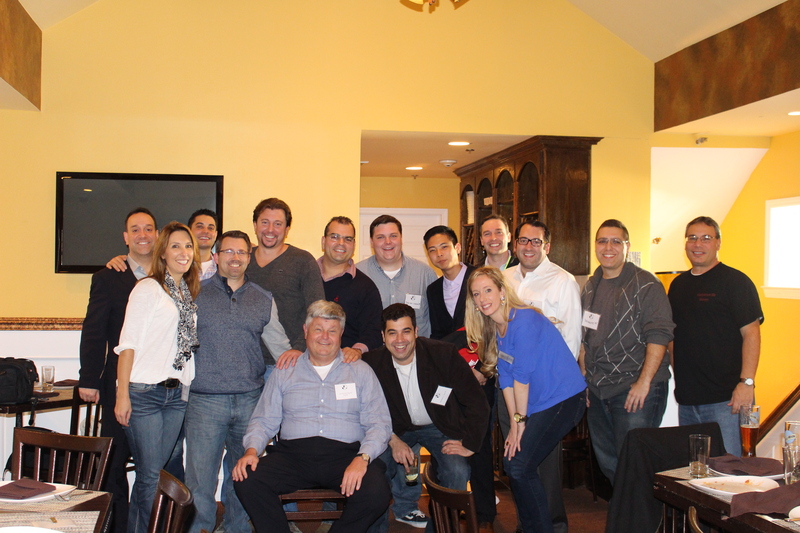 We would like to extend our thanks to all alumni who attended and who have donated to this special project. 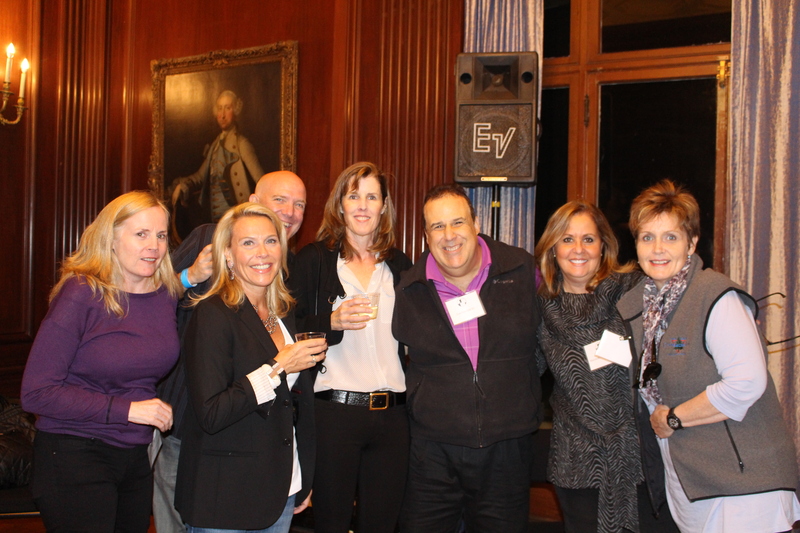 Manhattanville welcomed back its 1980s alumni on the night of Fall Fest for a casual reunion in the Castle’s Ophir Room. As they shared drinks and hors d’oeuvres, alumni enjoyed reconnecting with each other. The room was filled with memories and laughter as they flipped through the pages of their yearbooks and reminisced about their days at the ‘Ville. We would like to give a special thanks to our alumni host committee, who helped make this event a success: Heidi Fuhrman `80, Joe Barney `81, Bill McLean `82, Mary Morgan `82, Jim Connolly `83, Lou Fairchild `83, Ted Hynes `83, Kristine Tedesco `83, Ann Barney `84, Joe DiCandio `84, Bob Eaddy `84, Charlie Massimo `84, Elizabeth Bozzuto ’85, Dawn Clisham `86, Ani Khachian `86, Joe Narus `86, Jackie Nelson `86, Dina Siciliano `87, Sheila Finnerty `87, Nanci Blaisdell `88, Dan O’Donnell `88, Nancy Jo Seaton `88, Denise O’Dea Seker `88, Neil Tucker `88, Carla Williams `88. As Fall Fest reached its conclusion, the night was wrapped up with a spirited musical performance on the Quad. Alumnus Rich Harris Jr. ’05 and his band, Hi Def, entertained students and families with cover songs from the past as well as their own original hits. After graduating from Manhattanville with a Bachelor’s degree in Music Education, Harris earned a Master’s degree in Music History and a Doctoral degree in Music History. While he is the lead singer and piano player for Hi Def, Rich is currently the Director of Vocal Jazz, Choral Activities and the Music Theory Program at Islip High School in Long Island. He is also the vocalist for Viewpoint, an acoustic musical act. His accomplishments include being selected to the national touring companies of Broadway musicals such as Rent and Movin’ Out. Hi Def has performed at Manhattanville’s major events, such as Fall Fest, Quad Jam and class reunions. The audience certainly appreciated Harris coming back to his alma mater to perform for the annual fall celebration as students, family and friends danced and sang the night away on the Quad. Check out Fall Fest ’14 pictures below!